In April 2013, UCLA scientists led by Chancellor Gene Block were among the guests at President Obama’s announcement of the BRAIN Initiative. The program is aimed at discovering new ways to treat, cure and prevent traumatic brain injuries and brain disorders such as Alzheimer’s disease and epilepsy. Today, two UCLA faculty members, Dr. X. William Yang, a professor of psychiatry, and Dr. Daniel Geschwind, a professor of psychiatry, neurology and genetics, were among more than 100 investigators who received funding through the National Institutes of Health’s first wave of investments in research supporting the initiative. In all, the NIH awarded $46 million to researchers in 15 states and several countries to develop new tools and technologies to understand the brain’s basic neural circuit function and to capture a dynamic view of the brain in action. With more than 500 neuroscientists throughout campus, UCLA is well positioned to play a significant role in the effort. The campus boasts strength not only in neuroscience but also in genetics, nanotechnology, psychology, psychiatry and other academic fields, and researchers from those disciplines work closely together. Even before the national initiative was announced last year, efforts were already underway at UCLA to encourage more cross-disciplinary cooperation. 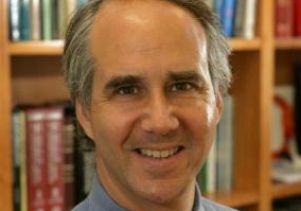 That effort, called UCLA Neuroscience, is chaired by Professor Kelsey Martin, who also chairs UCLA’s biological chemistry department. That type of collaboration is a key facet of the research being conducted by Geschwind and Yang, who put together interdisciplinary teams to develop tools that will help scientists better understand the human brain. 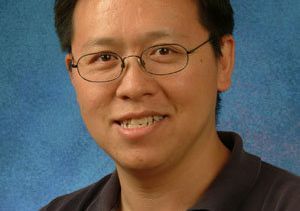 A team led by Yang received a three-year, $1.9 million BRAIN Initiative Award. 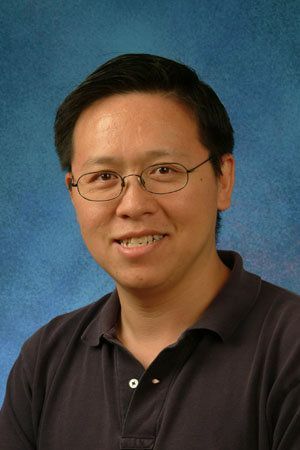 Yang, a member of the Center for Neurobehavioral Genetics at the UCLA Semel Institute for Neuroscience and Human Behavior and the Department of Psychiatry and Biobehavioral Sciences at the David Geffen School of Medicine at UCLA, is collaborating with Dr. Larry Zipursky, a professor of biological chemistry and a Howard Hughes Medical Institute investigator; Dr. Peyman Golshani, a UCLA assistant professor of neurology; and Dr. Hongwei Dong of the USC Keck School of Medicine’s Laboratory of Neuro Imaging. Their project will develop novel but simple genetic tools that allow visualization of the elaborate morphology, activity and synaptic connections of many different types of neurons in the intact mouse brain. They will also develop new brain mapping computer programs that accelerate reconstruction of neuronal structures and map the neurons onto a standardized reference brain atlas. The tools could allow researchers to link changes within fine structures of specific neurons to the more global function of the brain, and they could enable scientists to model brain disorders, making it easier to discover new disease mechanisms and test new therapies. Geschwind’s research team received a three-year, $2 million grant. 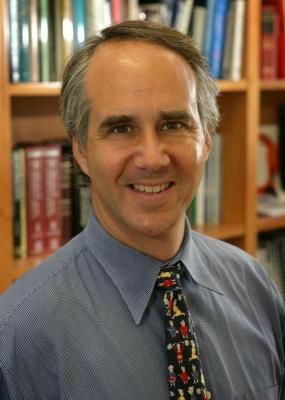 In collaboration with Dr. Michael Wigler’s laboratory at Cold Spring Harbor Laboratory in Maine, Geschwind and his team will work toward completing that “parts list” by measuring up to 10,000 individual cells to obtain a representative sample of the types of cells in the brain. Then, using mathematical methods, they will group cells into categories based on the similarities in the patterns of gene expression. Ultimately, the team will develop a three-dimensional map of each cell type in the circuits in living mice by applying another new technique that makes the brain transparent, enabling researchers to see all of its cells. The process will rely on new microscopy that is being developed in the laboratory of Dr. Katsushi Arisaka, a UCLA professor of physics and astronomy. The technique will permit rapid image acquisition at high resolution, making parts of individual cells and their connections visible. Because the project will generate a huge amount of data — more than 1 terabyte — the team is also working with the lab of David Shattuck, an associate professor of neurology at UCLA’s Ahmanson-Lovelace Brain Mapping Center, to develop new techniques for automated image analysis. “Once we have this parts list, we can use it to understand how cells develop and form the circuits that make up the adult brain,” said Geschwind, director of the neurogenetics program and the Center for Autism Research and Treatment at the UCLA Semel Institute. “This is an important step, as many developmental disorders such as autism and schizophrenia arise during the process of brain development.